While investigating an animalistic death in Chicago, Illinois, the brothers find a symbol of blood, which Dean later learns is connected to a Zoroastrian creature known as a daeva. They later run into Meg Masters, and Sam’s suspicions of her lead him to discover that she was behind the murder. 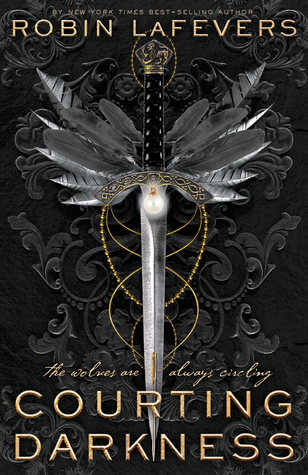 They confront her, but she reveals that it is all part of a trap set to capture their father. 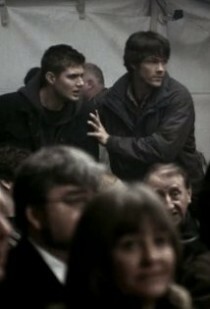 Sam and Dean manage to turn the daevae against her, and she is thrown out of a window several stories to the ground below. When they return to their motel room, they find their father waiting for them, but Meg returns and once again sends the daevae after them. Sam dispels the daevae with lighting flares long enough for them to escape. John then once again leaves his sons, feeling that they are vulnerable when all together. Well that’s a creepy alley! And it’s talking to her. NOPE! And now there’s a silhouette coming after her. This is very Nosferatu! Playing with light and shadow…I really like the way they’ve done that. I don’t super remember this episode, at least not this introduction, so I’m really looking forward to watching this again. EMF reader! This one doesn’t look like it’s made out of a walkman though. Ooh a reference to John Winchester’s journal. I love when they bring that up. I swear, I want a replica of that thing! It’s so darn cool. Meg Masters! She’s back! And LOL at Dean in the background. I love Dean’s reactions/conversation with Meg. And I love that Sam is suspicious of her, but that Dean is trying to get Sam to think with his non-upstairs brain. Haha. It’s no surprise to me that Meg is involved with the daeva, but I am surprised that she didn’t know that Sam and Dean were in town. Nowadays, demons are sort of the stock villains on Supernatural, but I really like looking back to when they felt like a much bigger threat, something that the boys hadn’t encountered much before. Who is Meg talking to, hmm? I’m wondering if we ever see that kind of communication again. I’m not recalling that we do, but I’ll try to remember to keep my eyes out for it while I rewatch the series. So the yellow-eyed demon is named Azazel. Why are his eyes yellow? Demons all have black eyes, except crossroads demons (red) and Lilith (white), who we meet later. So far, Azazel is the only one to have all-yellow eyes. All the victims in this episode are from Lawrence, Kansas – the boys’ hometown! Well it looks like it’s time to call John Winchester. Where is he even??? Wasn’t he following a lead? What kind of lead is he chasing? Oh snap! These murders are part of Meg’s trap! The victims all being from Lawrence doesn’t mean anything – it’s all part of a trap for their dad! Boy melodrama moment! Dean wants the family together again! But Sam knows that they’ll never be the way they were before. And I really identify with this sentiment. I think most of us can. Once you move out and start to become an adult, the family dynamic changes. You’re still family, but somehow not the same way that you were perhaps when you were younger. Now your interactions are inevitably changed by the way you’ve all changed and grown independently. I still like Meg’s jacket. I love getting to see Meg be tough and not fool around with the boys anymore. Maybe it’s budget reasons, but the way they only show the daeva silhouette is really effective and creepy. Dean really thinks highly of his father as a hunter, which we’ve certainly seen before. So it seems as though Meg is acting out of loyalty and love – “for the same reasons you do what you do”. 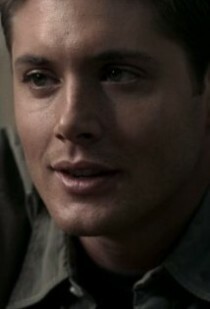 Haha, Dean’s eyeroll while Meg’s talking to Sam: “Get a room you two”. The daeva turn on Meg and throw her out a window! But the demon is possessing the body – the vessel still suffers the physical pain and damage. This will come back to Sam and Dean later. Guess who finally shows up? John Winchester! I love the way his silhouette at the window reminds me of Azazel in Sam’s nursery in the pilot episode. Big hug for Dean and his dad! I like the way both boys answer their father with a “yes sir”. Again, they’re soldiers. This is the first time that the boys see their father. As the viewer, we’ve seen him at the end of Home, and they’ve spoken to him on the telephone, but all season the boys have not actually seen him. Meg-demon is much tougher than she looks. Daeva attack! But Sam thinks quickly and they use the flare to escape. There’s that college education! In the end, Dean tells their father that he can’t come. Sam says they should stick together (my how the tables have turned!) and doesn’t want to split up yet, but Dean knows that they all have the same weakness: each other. He knows that their enemies will use Sam and Dean to get to John Winchester. I love this episode for progressing the main storyline and for giving some good scenes to Meg! Haha! “Dean’s eyeroll….” Appreciation from the Queen of them! Great SPN rewatch review, as always!